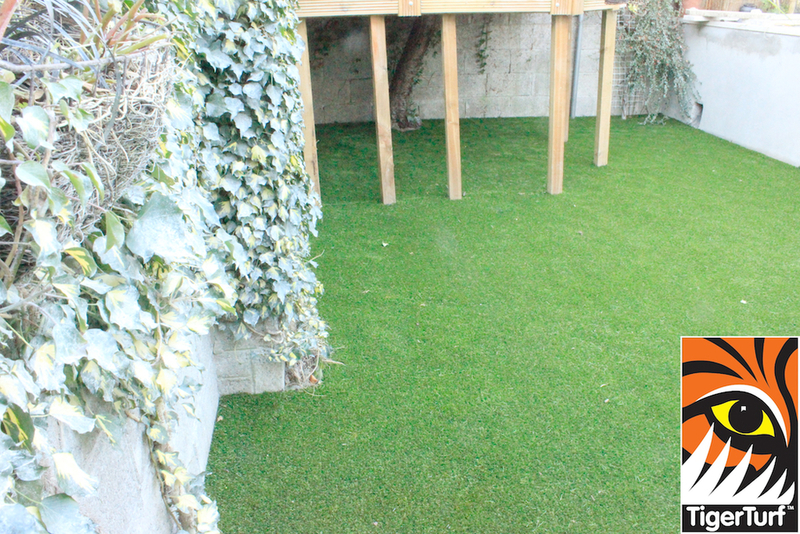 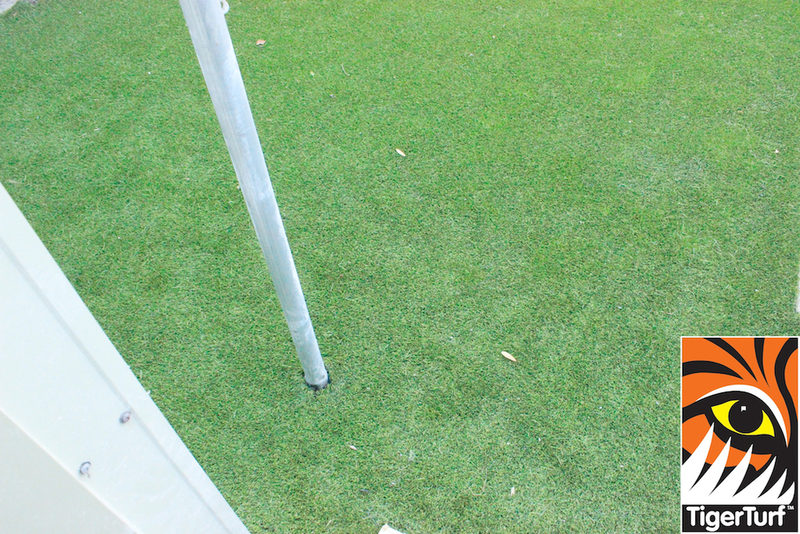 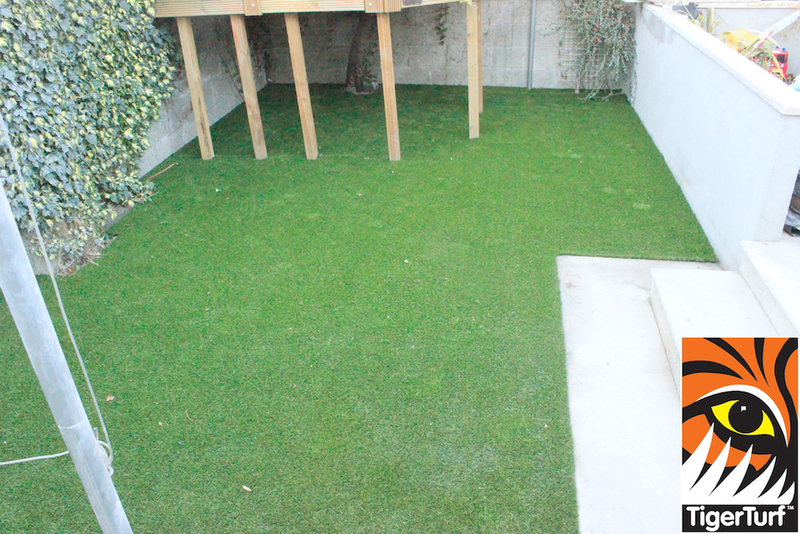 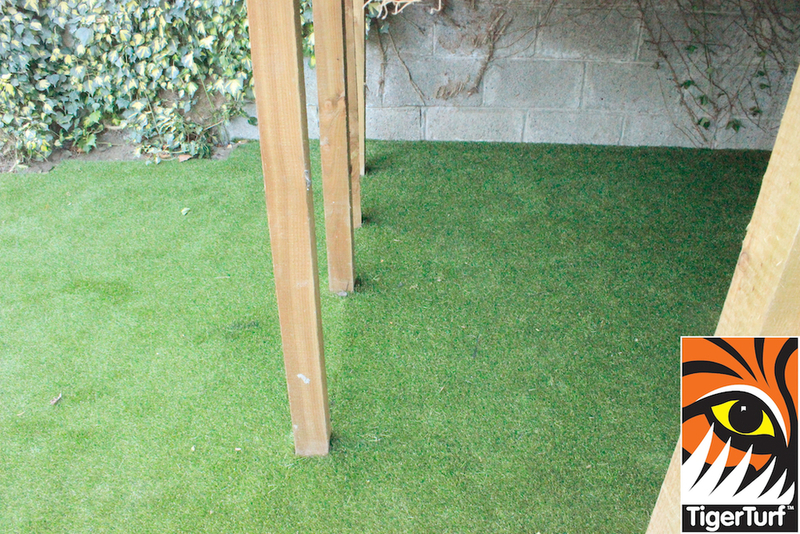 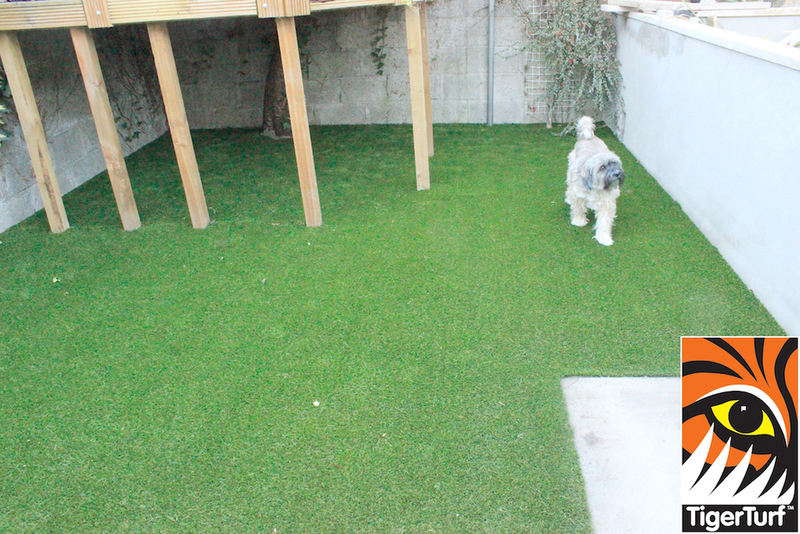 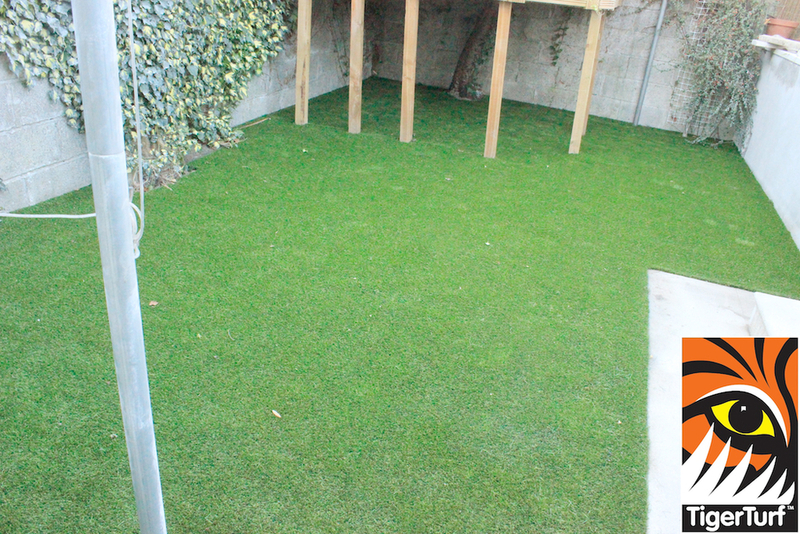 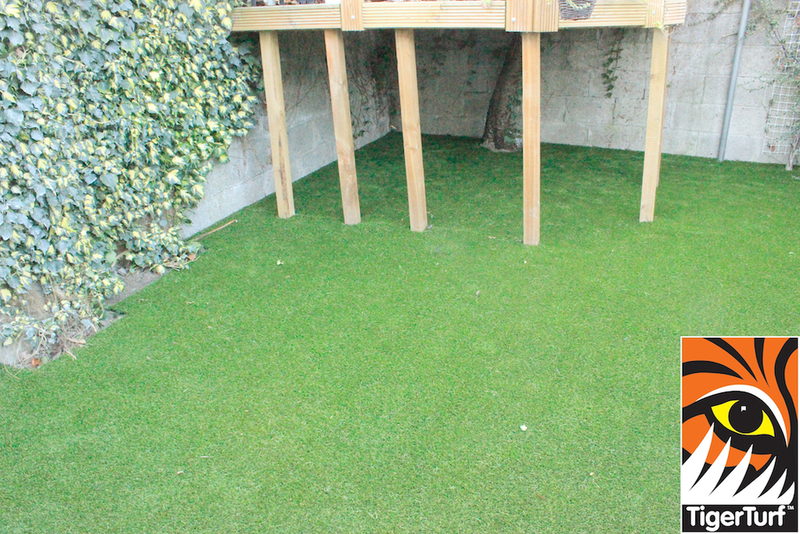 a suburban garden that needed instant synthetic grass turf post build. 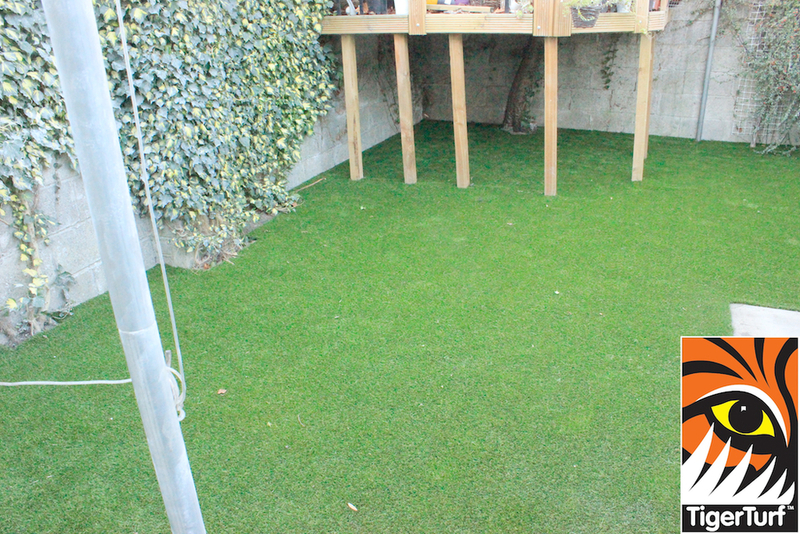 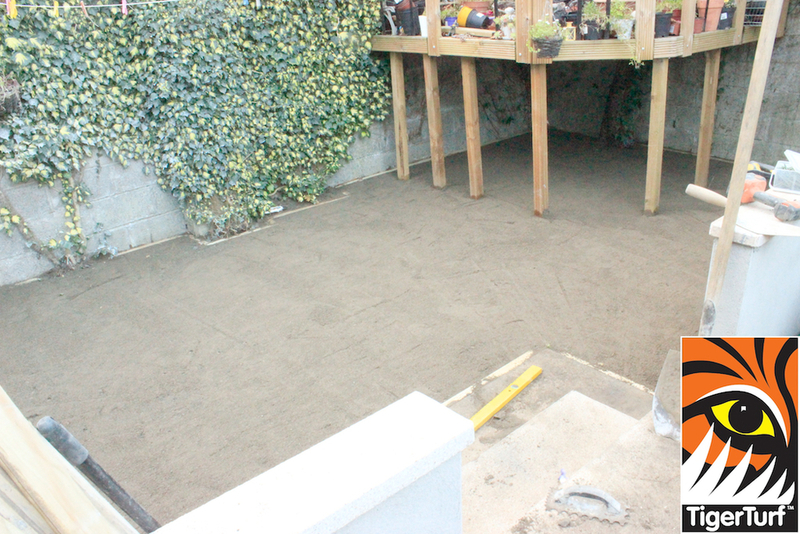 This garden had been landscaped and was in thorough need of a proper Lawn. 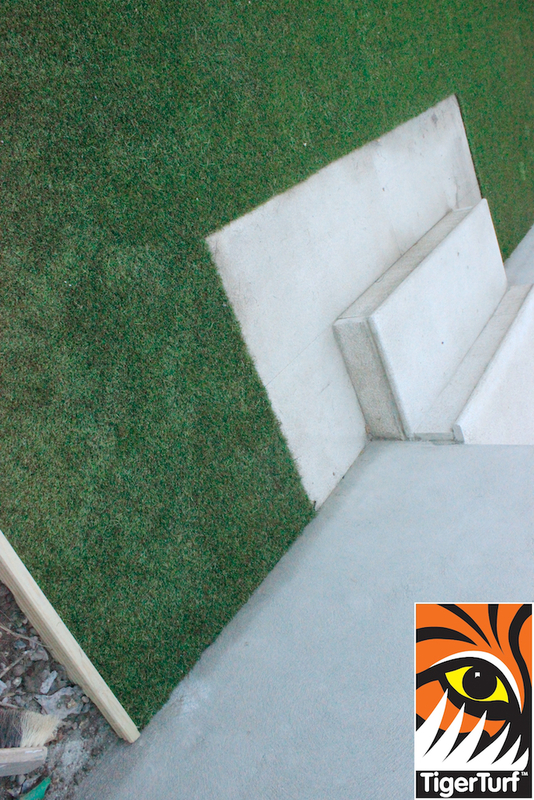 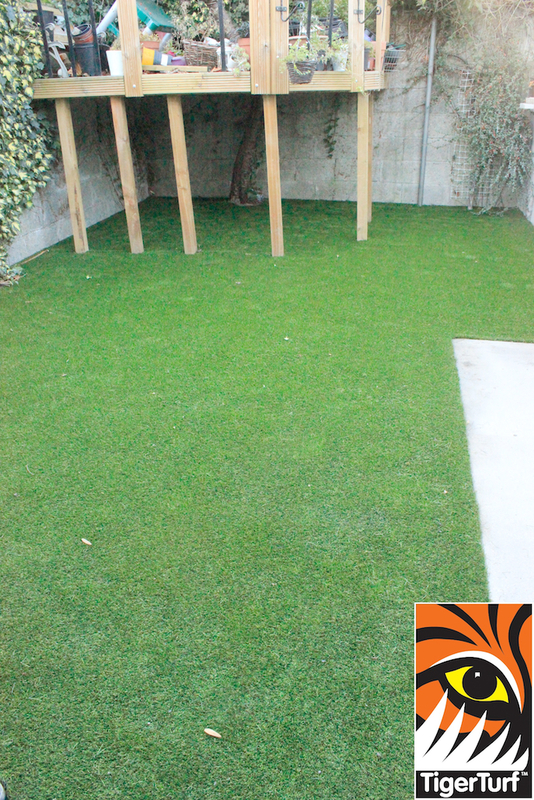 Client selected TigerTurf Vision plus for its evergreen and natural appearance. 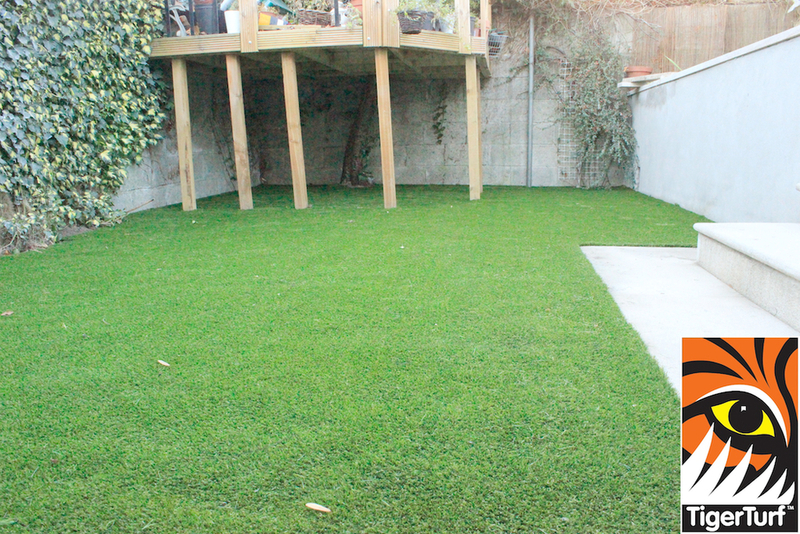 The results were outstanding, a very happy new lawn owner.